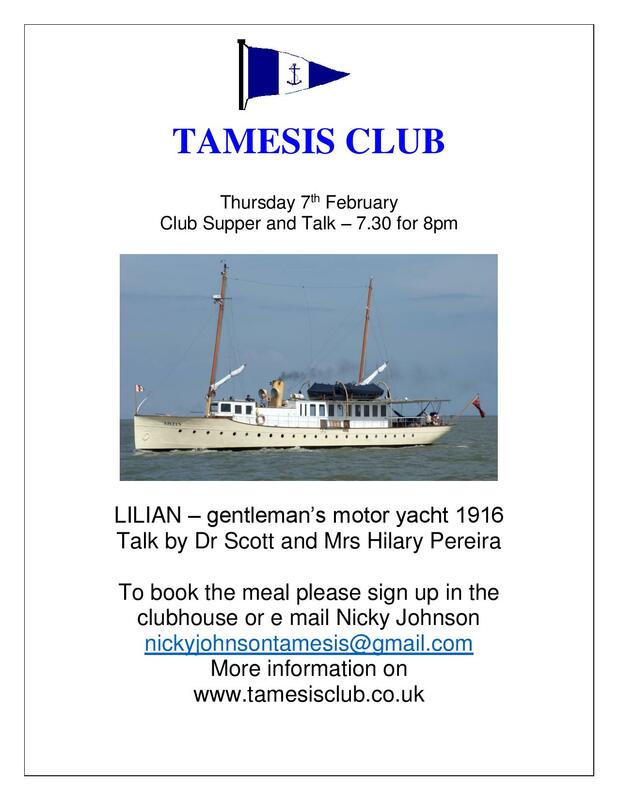 Hilary Pereira gave a fascinating talk on their home the Lilian which is over 100 years old. Built as the first diesel yacht in Sweden for her millionaire owner back in 1916, Lilian has had a very chequered career. She is now moored at Richmond. Hilary wowed us with her history from riches to rags and now restored to her former glory. We are hoping to visit during the summer. Thanks to Nicky Johnson for the delicious meal assisted by Sara and Josefine.